While the rest of us were out Christmas shopping, Mick Extance was testing with Rally Raid UK for some final preparation for the Paris Dakar Rally. 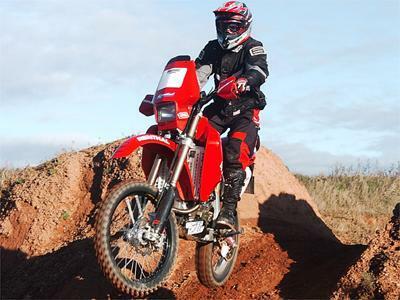 The 41-year-old will be at the start of the rally in Barcelona on January 1, 2005 aboard his Honda XR650. "Mick's effort's are looking good and the bike is testing well after Dennis Osbourne's work with Rally Raid UK on it," said Honda Racing's Roger Harvey. " This shakedown ride is most important to iron out any last minute niggles, and it all looks good for for this year"
Extance is just one of the British hopefuls, alongside BMW instructor and F650 rider Nick Plumb, and British resident and fellow BMW off-roader Si Pavey. Would you swap a New Year hangover foe the chance to ride the Dakar?